Give a gift they will remember with our Restaurant Experience Gift Voucher and enjoy an all-inclusive five-course tasting experience for two with matched wines. 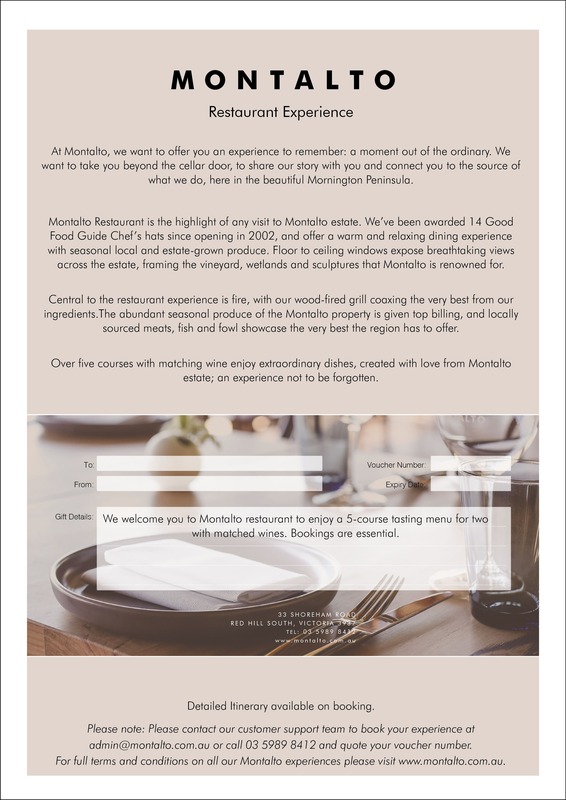 A visit to the Good Food Guide awarded Montalto Restaurant is an experience not to be forgotten; a moment out of the ordinary. Central to the kitchen is fire, with a wood fire grill allowing the best of ingredients to sing. The abundant seasonal produce of the Montalto property is given top billing, and locally sourced meats, fish and fowl showcase the very best the region has to offer. The menu updates in accordance with the rhythm of seasonal produce. 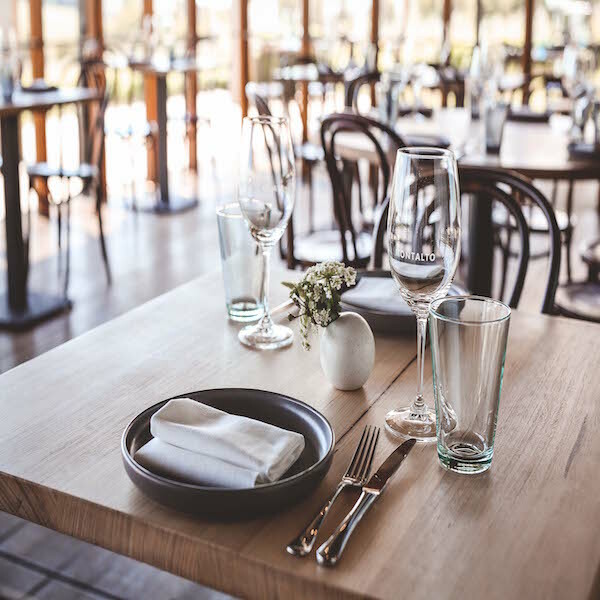 Diners can expect to see dishes such as pork jowl, pickled rhubarb and mustard leaf, swimmer crab, sweetcorn, miso and baby cos, or half duck with preserved mandarin. The dining space is open and bright with floor-to-ceiling windows that allow guests to drink in the breathtaking views of the estate. As always, our warm and knowledgeable wait staff are here to help and guide you through the experience. At checkout, you can choose to receive vouchers via the post OR print at home for immediate use. You can also purchase Express Delivery in checkout. This needs to be purchased before 12 noon to guarantee delivery. Please ensure you check your JUNK mail if have not received your voucher within 10 minutes of purchasing. 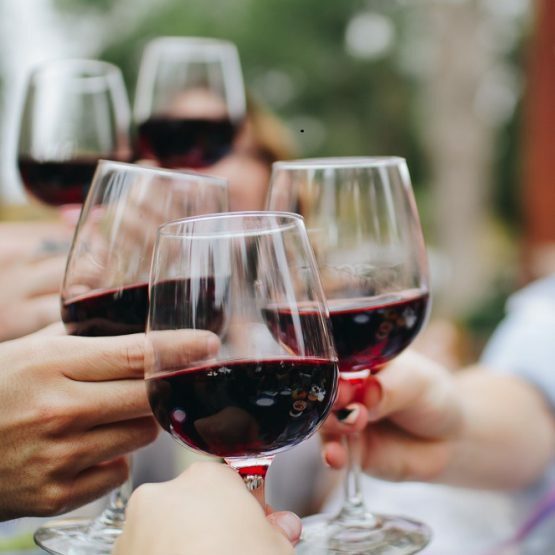 The Mornington Peninsula Discovery Tasting offers beginners and seasoned wine lovers alike insight into the roles played by variety, site and winemaking in producing world-class cool-climate wines. Set in our Wine Room overlooking the estate vineyards, we will guide you through an educational tasting of wine from our current releases and back vintages, as well as limited bottlings not available elsewhere. Following your tasting, take a seat in the beautiful Piazza Cafe, where the seasonal menu is drawn from our produce gardens. Included in your Montalto Mornington Peninsula Discovery Tasting is a casual, shared lunch in the Piazza with a glass of Estate wine. After lunch, take your time to explore the contemporary sculpture collection set amongst the produce gardens and vineyards of Montalto estate. 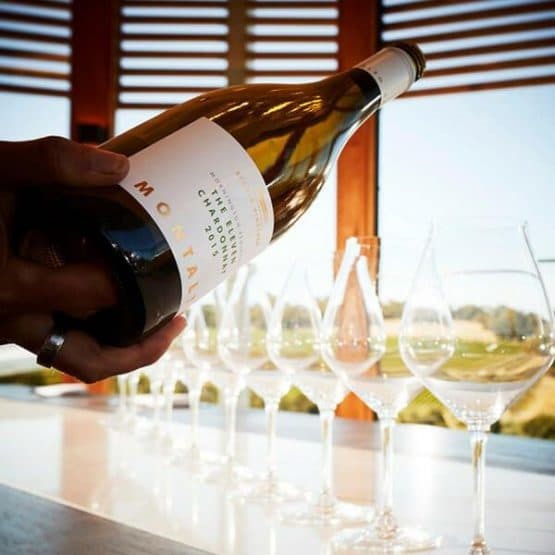 Montalto Mornington Peninsula Discovery Tasting is the perfect gift experience for food and wine lovers. At checkout, you can choose to receive vouchers via the post OR print them for immediate use.